Reciting The Holy Quran is the thing that can give you relief from tensions and stress. Quran is a miracle from God, and a guidance to make people’s lives easier and less stressful. People mostly receipt Quran from Quran Pak. But most of the times you need to receipt it and you do not have Quran with you. That is not a big issue, now we have so many Quran apps available on play store, that may help us reciting The Holy Quran from our phone easily. Play store is loaded with number of Quran Apps. But people mostly are confused which app is trustable and which is not. So you need not to worry any more. In this article we are going to tell you about 4 best Quran App for Android. You can download them easily from Play store or from the link given below. Have a look on them. 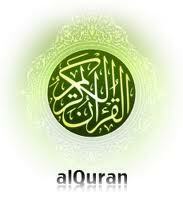 Quran Android is one of the best Quran Apps for Android. It is unrecompensed application for android users. It has number of unique features which makes it more trust able. This Android Quran application has revised and customizeable index. It is also consist of audio play back. It gives you the option of hearing comforting Tilawat and tafseer from Quran. Moreover it has amazing Madina pictures in background that give you feel that you are sitting in Madina and listening and enjoying to ayah. It has international translation of Quran as well. 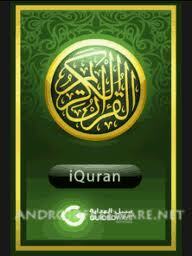 Quran Android is available on play store with its amazing features and can be downloaded for free. Download it now from the link given below. The Quran is second on the list of best Quran app for android. It is another amazing application for android devices. It has amazing features that includes, All the lessons of Quran in different international languages and recitation recorded by different reciters. Another special feature of this application is that it will give you option to remove transcript for the people who don’t know Arabic language. It will provide you several options that may help you in learning different Surah. The Quran with all these features is available on Play store and you can download it for free. Another wonderful Quran App for android is iQuran. It enables you to read the Quran with the translation given at the side. iQuran is trusted by hundreds of people across the world. You can also do number of holdings and tagging by using iQuran. This app displayed in the color coded Tajweed. It is the first ever software that has roper classification of Tajweed. Its quick and outstanding services make it one of the best Quran app. iQuran is available on play store and can be downloaded for free. Now with the Holy Quran Lite you can recite Quran and listen to ayah anywhere you wans. It enables you to opting two translations at a same time. It one of amazing feature is that it has automatic reminders of verses. Download Holy Quran Lite now and enjoy its features.